The UFU president Ivor Ferguson has discussed the shape of agriculture in the UK and NI with MP’s, the Environment Minister and members of the Lords. The Ulster Farmers’ Union says the publication of the UK Agriculture Bill is a significant step in the UK’s Brexit process and is crucial in determining the industry’s future post-Brexit. UFU president Ivor Ferguson said the UFU would be examining the document closely, in particular what impact it may have on farming in Northern Ireland. 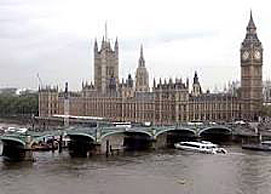 The UFU president was in Westminster this week, along with the other UK farming union leaders, and met with Secretary of State Michael Gove, MP’s and representatives from the House of Lords to discuss the UK’s Brexit plans. The UFU has always argued for regional flexibility when it came to designing a new domestic agriculture policy. Mr Ferguson said: “In our initial review of the Bill, we are pleased to see provisions in place that take into consideration the current political situation in Northern Ireland. In particular, it allows for a continued legal basis to ensure, as far as possible, that the status quo in terms of agricultural support can be continued until a new policy direction can be established. Mr Ferguson said the publication of the Bill further reinforces the importance of having a devolved government. “We are keen to progress things further and are currently consulting with members to get their views on DAERA’s proposals for Northern Ireland’s future agriculture policy framework. However, we will likely need Stormont up and running before any real decisions can be taken. It is a difficult position for farmers and their businesses, as we need adequate time to plan for changes.